Rectangular shaped high quality resin and brass designed wooden box for containing dry fruits and other delicacies. Make you table top glamourus by putting this in style! 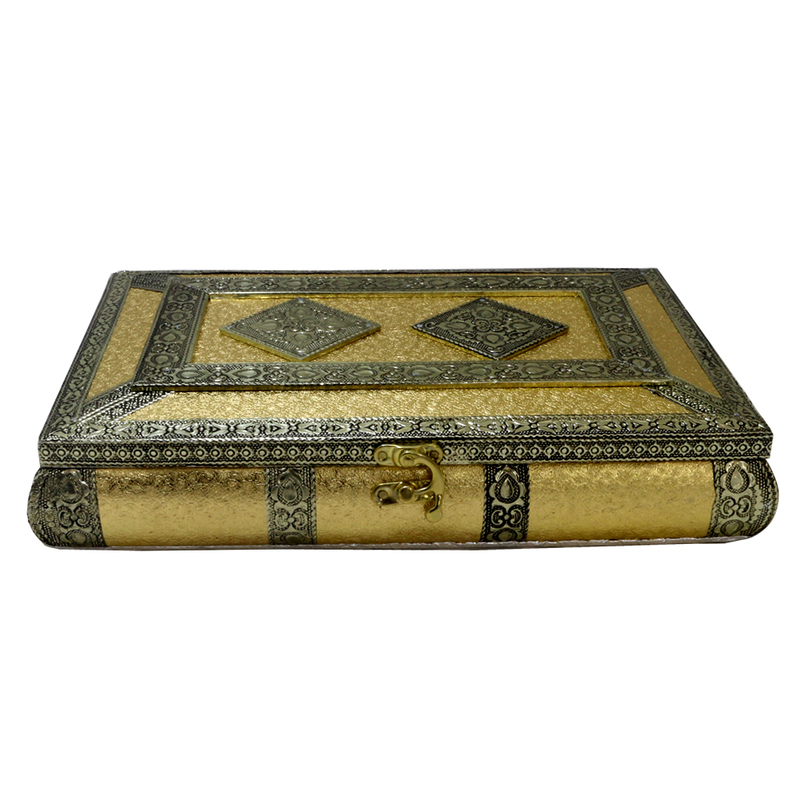 The two gorgeous rectangular design made of brass on the lid really made this wooden box awe-inspiring and plushy. Use of resin to manufacture this Read More..piece made it more desirable as the appearance of the box became exquisitely attractive! Buy it before stock converts to zero! Show Less..